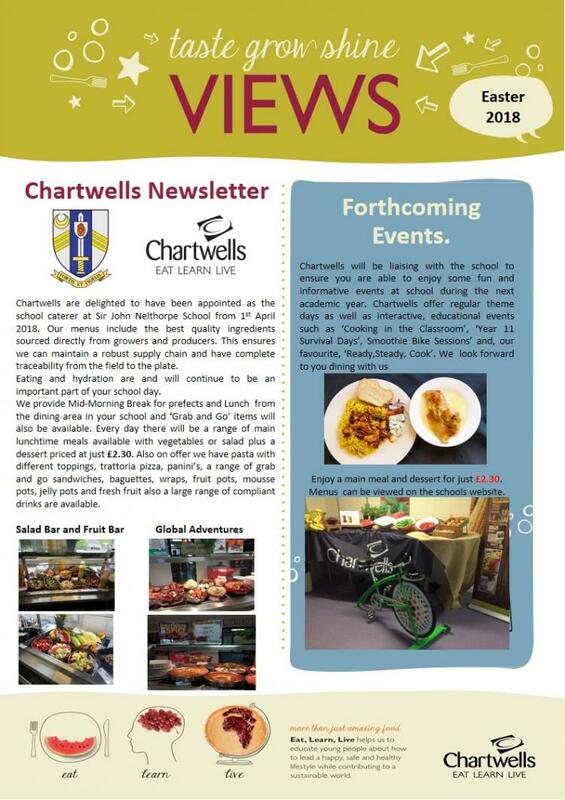 I am delighted to announce that when we return after the Easter break, Chartwells will be our new school meals provider. Everyday there will be an increased variety of food available with the 'Meal Deal' price of £2.30. The new caterers will also use ParentPay as the preferred method of payment. As a parent you do not need to do anything as your account will continue. Please try not to pay in advance for meals before 1st April but do not worry if you already have, monies will be carried across. You will receive or may have already received an email from ParentPay advising of this. Eating and hydration are and will continue to be an important part of the day and we will be working with Chartwells to ensure your child gets a balanced and nutritious meal to sustain them for the rest of the school day. If your child has any special dietary requirements then please get in contact so that we can send out a special diet request form, a copy of this can be found below along with lots of other useful information and menu options.